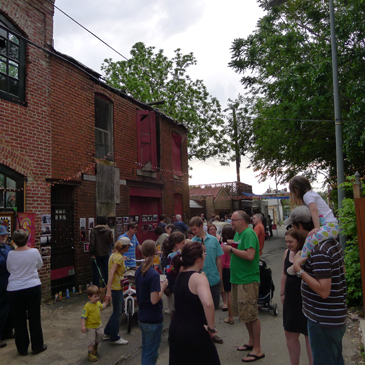 Art in the Alley – 6 p.m. to 10 p.m.
Head to Trinidad this weekend and enjoy the seventh installment of Art in the Alley. This community arts festival provides guests with an opportunity to see local art and enjoy enjoy music and refreshments. For more details, click here. The event will take place in the alley between the 1200 blocks of Florida Ave. and Morse St. NE. Green Owl Design – 7 p.m. to 11 p.m.
Green Owl Design presents their first solo exhibition by Joseph Rogers during their grand opening event. Rogers’ uses symbolism, motifs, and surrealist style to create his unique artistic identity. For more information, click here. Green Owl Design is located at 4327-C Gallatin St., Hyattsville, MD.